Nashville might be known for its vibrant music scene, but something else really cool was born in the Music City: The Candle Bar! 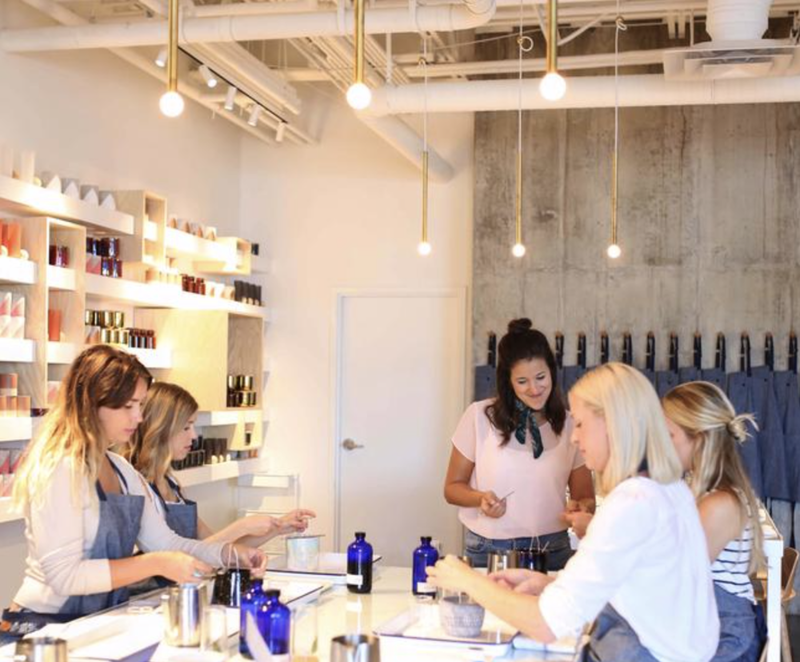 This experiential retail concept makes candle making the centerpiece of the store, where you can not only go to shop for candles, but pour your own! Coming February 16th to Deep Ellum, we are answering all your questions on when to expect The Candle Bar, what it’s all about and how to reserve a spot! As we mentioned, The Candle Bar is an interactive experience, allowing guests to create their own candles from scratch! The custom candle pouring classes are $40 each and take about an hour. The class walks you through the steps to create the perfect gift or new addition to your home! 1. Choose from a variety of empty vessels, varying in shapes, sizes, colors, and styles. 2. Choose a fragrance from the library of 40+ different scents. 3. Weigh out the liquid wax, fragrance oil, etc. and receive instruction on how to create the candle! 4. Come back 3 hours later to pick it up or pay a small fee to ship! The Grand Opening for The Candle Bar is February 16! They are currently taking bookings for candle pouring workshops that day and customers will get to take advantage of added festivities all day! They include complimentary cookies from Cookie Shop, complimentary mimosas and complimentary beer from Braindead Brewery! In addition, there will be giveaways with prizes that include candle pourings and a chefs tasting dinner at LOCAL! The Nashville company has chosen the neighborhood-of-the-moment, Deep Ellum at 2649 Main Street, across the street from Pecan Lodge. Head to The Candle Bar’s website to reserve a class. There are 16 spots per class, making for the perfect company outing or group activity! Make sure to follow The Candle Bar on Instagram to stay up to date on the latest announcements! Fun Fact: The Candle Bar’s sister company, Paddywax, has been hand pouring artisan candles for over 20 years! You may have seen them at stores like Francesca's, Urban Outfitters and Whole Foods. The Candle Bar offers the unique experience of not only making your own custom candle, but knowing that what you’ve created is up to Paddywax standards! Did we mention you’ll be extended 20% off all retail in the store after pouring? Plus, it’s BYOB during the 6 month pop up, so make sure to bring a bottle of wine or some beer to the class!